Seller will give you a gift certificate in the amount of 4,9367 RUB for a positive review of the product purchased. 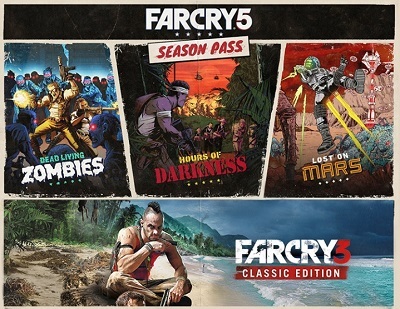 Get access to additional materials for Far Cry 5! Get more experience from Far Cry 5 thanks to the adventurous adventures in other worlds. You are waiting for three new adventures: fight with the terrible zombies, ruthless soldiers of the Vietcong and Martian monsters. Seller will give you a gift certificate in the amount of 4,9367 RUB for a positive review of the product purchased..